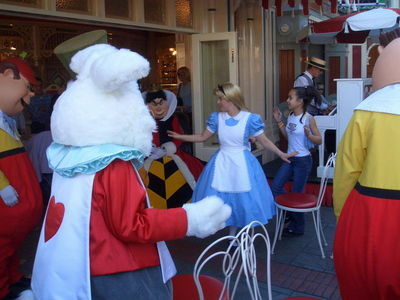 If you could meet one cartoon character, who would it be? If a cartoon character really could jump out of the screen into the real world or you could jump into a cartoon, which character would you choose to meet? I think I would want to meet Tigger from Winnie the Pooh, simply because he couldn't help but cheer me up. I'd have to go with Optimus Prime or Splinter from the Teenage Mutant Ninja Turtles. Marceline the Vampire queen from Adventure Time. 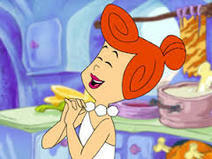 Wilma is a real trouper....and funny too! I would love to meet Homer Simpson and evaluate if he really is that dumb. 'Dumbo' & his Mum, so I could give them both endless hugs! I cried so much in that film! Even if I watch it, & a few others', I'll bawl my eyes out! I feel so much for animals, even cartoon ones!